Have you ever asked how far you would go for a shot of booty? 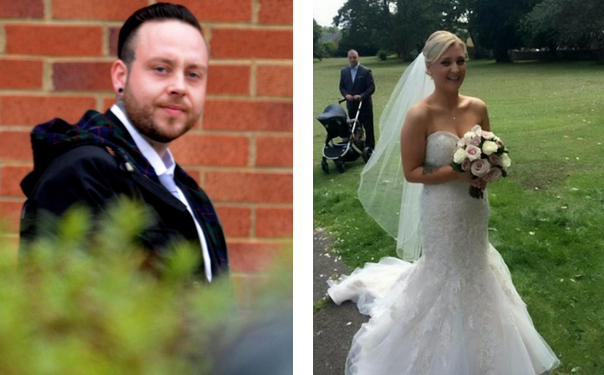 A bride’s fairytale wedding day ended in a nightmare beating. Amy Dawson said her groom attacked her on their wedding night because he couldn’t help her out of her white gown. But even before the wedding, the British couple’s relationship was rocky. When 22-year-old Dawson became pregnant while they were dating, 29-year-old Golightly became abusive, she said. Still, they wed in West Rainton, England, last year. That night, they retired to their room, where Golightly tried to help Dawson out of her dress. When he couldn’t get the gown off his bride, he threw her on the ground and started punching her, she said. The attack left Dawson with bruises on her face and chest and a cut on her brow. She was able to slip out of the room and worried hotel employees called police. He later pleaded guilty, and a British judge ordered him to 24 months of supervision. Dawson now has a restraining order against Golightly. She has also filed for divorce.